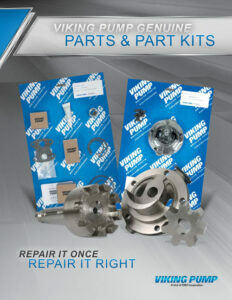 Atlantic Pump supplies all the Viking pump parts you need to keep your pumps running optimally. Pump parts, motors, reducers and strainers all give you peace of mind knowing you have genuine OEM parts. 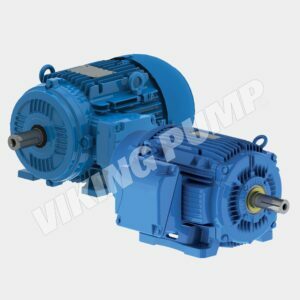 Only genuine Viking Pump parts are warrantied and specifically designed to meet performance requirements to ensure optimum pump reliability. Repair it Once, Repair it Right. Order both seal kits and rebuild kits so you have them on hand when needed. Let Atlantic Pump recommend the right kits for your pumps. Hayes also offers a selection of Gear Reducers. Offset models feature fully interchangeable ratios and multiple mounting brackets so your output shaft will match Viking shaft height. Inline models are available in multiple sizes and ratios up to 350 HP / 250 kW. They feature universal mounting – solid input shaft or motor mount option (IEC or NEMA). Integrated motor and reducer models give you the package convenience and a compact footprint. Hayes offers line strainers to prevent foreign objects from interfering with your pump operations. Strainers prevent downtime, save you from costly repairs and give you a higher quality product. Three types are available. Simplified cleaning with an easy opening quarter-turn breech-lock lid. High system efficiency with an inclined basket with a low pressure drop. Learn more about + Viking Pump.